It wasn't so long ago that the Twins were flush with quality righties out of the bullpen. Even though the rest of his team was lagging around the middle of the season, Paul Molitor could feel confident in calling upon any number of stalwarts. Ryan Pressly, blowing people away. Addison Reed, living up to his billing. Trevor Hildenberger, as reliable as they get. Fernando Rodney, rattling off saves. Even Matt Magill was cruising along. Now, things have changed — most crucially, with respect to the 2019 bullpen outlook. Pressly and Rodney are gone. Reed's turned into a disaster. Hildenberger has been a mess for weeks (7.45 ERA and .620 opponents' SLG since July 1st). 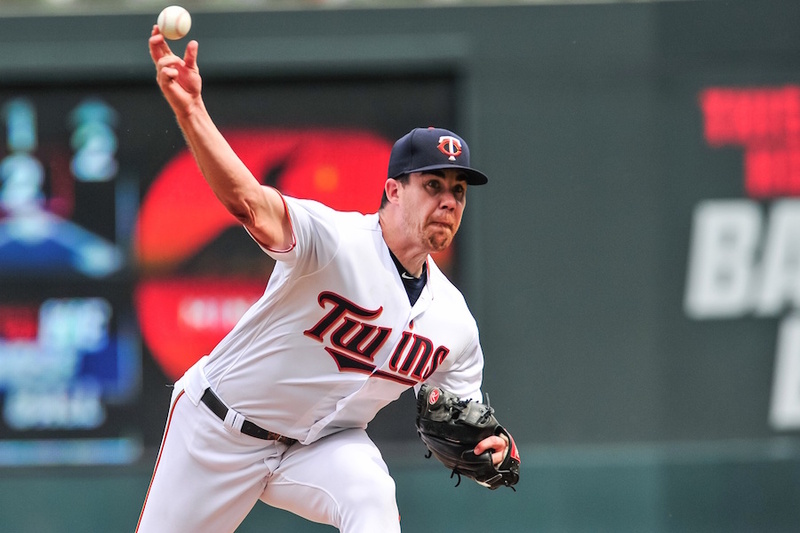 Magill started his Twins career by allowing one run in his first eight appearances, but has since by allowed 16 in 30 2/3 innings (4.70 ERA) and an .833 OPS. Suddenly, there is a great deal of uncertainty plaguing next year's bullpen – at least, one critical element of it. The left-handed contingent is far less worrisome. Taylor Rogers has enjoyed a spectacular year, and currently looks to be the club's best reliever. Gabriel Moya can be written in with ink. Lewis Thorpe or Adalberto Mejia could potentially join the fray. And even if the Twins feel short on internal options, it's never too hard to go out and find a free agent like Zach Duke who can get it done as a secondary southpaw. But there is far less assurance when it comes to bullpen right-handers (and, one might conclude, closer candidates). Unfortunately, the Twins have deprived themselves of opportunities to more thoroughly evaluate several of them this season. In any case, let's break down each key figure and where he stands as we roll toward the end of the 2018 campaign. When I ranked the top 20 Twins assets last offseason, I had Hildenberger as the highest reliever, and 11th overall. "The 27-year-old bears every attribute of a closer or high-leverage fireman for years to come, and is controllable through 2022." Hildenberger was only reinforcing his value through the first three months of this season, continuing to excel as one of the league's steadiest setup men, but things took a turn one sweltering day in Chicago at the end of June. In his 37th appearance, he coughed up five earned runs on four hits and four walks, while recording one out. It was not only the worst outing of his career, but one of the worst you're likely to see from any relief pitcher. Since then, things just haven't been the same. Before that game, the sidearmer had registered a 2.06 ERA and held opponents to a .197 average. Since then, he has a 7.45 ERA and opponents have hit .329. Hildy was nearly spotless throughout the minors, and during his first calendar year in the majors, so these extended struggles are unprecedented for him. The good news is that his peripherals aren't nearly so startling. Hildenberger's swinging strike rate has remained static, his walks have stayed in check, and his velocity hasn't dropped to an alarming degree (though it has dipped from where it was in the middle of the summer). There have been plenty of theories as to what's causing this dramatic drop-off in results — overuse, tipping pitches, maybe something so simple as MLB hitters catching on to his quirky delivery. Whatever the case, I'm not overly concerned, and still view him as a key long-term piece in this unit. But, it'd sure be reassuring to see the interim (?) closer string together a nice stretch over the final weeks. For the entirety of his tenure as Twins GM, Terry Ryan consistently opted against investing significantly in free agent relievers. Never once during his run did the team sign an outside bullpen piece to a multi-year deal. Derek Falvey and Thad Levine broke that pattern during their first full offseason at the helm, signing Addison Reed to a two-year, $16.25 million deal in January. Now? That contract has very quickly become a banner example of why Ryan's regime fiercely avoided such commitments. Relief pitchers are notoriously volatile, which was the primary thinking behind Minnesota's steadfast avoidance, but many fans (including myself) longed for the club to step up and pay the price for an established name. While not a top-tier talent, per se, Reed was certainly a more bold investment than we've ever seen from the Twins before on this front: A consistent performer. A successful closer. A hired bullpen ace, on one of the larger deals handed out to a reliever during the winter. Now, Reed is Exhibit A of the position's volatility. Following some solid initial returns, he has broken down, and can't be relied upon in any capacity. Frankly, it's impossible to believe at this point his arm is sound. Reed's velocity is as low as it's ever been. No one's swinging and missing at any of his pitches; he has induced a total of two whiffs on 71 pitches since coming off the DL. Two! What to do at this point? Shut him down? Take a closer look at that elbow? All I know is that sending him out to the mound is doing little good, and Reed is destined to enter 2018 as a complete question mark at best. Somewhere, Terry Ryan is nodding knowingly. Enough with the bad news. While several of his peers have nosedived in the second half, May has been busy reintroducing himself – with authority. The 28-year-old rejoined Minnesota at the end of July, and has been fantastic. Yeah, he had a little hiccup on Thursday night when he entered and walked two with the bases loaded, but May was otherwise spotless over two frames, and throwing strikes hasn't exactly been a problem for him despite the long layoff. Those walks are the only he's issued in 6 2/3 innings, during which he has registered a 21% swinging strike rate. To say May is dominating at an elite level would be an understatement; Josh Hader leads all qualified MLB relievers with a 19.5% whiff rate, and might be the best reliever in baseball. May is the best bet to fulfill Pressly's vacancy as a high-octane late-inning weapon. He's got closer stuff but is more alluring as a situational fireman. I'm beyond giddy to have this guy back in the mix, and am more optimistic about him than any other player listed here going forward. He was a nice story for a while. Plenty of failed starters have gone on to establish themselves as quality MLB relievers, and Magill had a chance to be join those ranks. He still might. But the 28-year-old journeyman has given Minnesota little reason to maintain intrigue. Even when Magill was experiencing a surprising early run of success, Molitor was reluctant to use him in any kind of meaningful situation. Perhaps he sensed what was coming. Magill hasn't been a disaster by any means, but he also hasn't been anything special, and given his circumstances it's tough to see him edging enough others on this list to stay in the picture. Working against him is a sudden decline in control – after walking four batters in 17 appearances through the end of June, he's walked six in nine appearances since. Duffey deserved better. It's befuddling that Magill slid ahead of him in line, and utterly baffling that Matt Belisle did. Why are these random pickups being prioritized over a homegrown talent with proven ability? Duffey was never meant to a be a starter, and unfortunately much time was wasted on that failed experiment, but the former college closer has shown plenty since moving back to relief duty. He pitched far better than his 4.94 ERA in the Twins bullpen showed last year, with a 67-to-18 K/BB ratio in 71 innings. He's got a hammer curve that works beautifully in short stints. He's been shutting down Triple-A hitters all year. And yet it took Duffey until August to get another real shot with Minnesota. I guess that speaks to the front office's opinion of him. I can't say I understand it, personally. Duffey's fine work since rejoining the Twins bullpen (zero hits allowed in 3 1/3 innings) speaks to what he can do. But now he's in the tough position of trying to make an overwhelming impression in the final weeks, and next spring, because he's out of options in 2019. Given their ambiguity with bullpen righties going forward, the Twins' refusal to take an extended look at Duffey this summer strikes me as one of their biggest follies. We'll see what happens. In many ways, Busenitz falls in the same category as Duffey. He's been brilliant in Triple-A all year and has major-league experience, but has repeatedly been passed up by less deserving candidates. Operating with mid-90s heat and a solid curveball, Busenitz has turned in a 2.48 ERA and 45-to-8 K/BB ratio in 40 innings at Triple-A. Meanwhile, he's gotten only 13 innings in the majors. I will say that I'm not quite as miffed with the team's handling of Busenitz as Duffey. On merit, he absolutely has deserved more of a chance, but to me there are ominous harbingers in Booze's profile. As I noted in spring training when he was competing for a roster spot, fly ball pitchers who don't miss a ton of bats don't tend to fare well in the majors. Busenitz still has an option left, which surely will work against him. Based on his treatment this year it's hard to see him being legitimately in the running for a bullpen spot next spring. He's one of the ostensible journeymen who's gotten a look ahead of Duffey and Busenitz, but Drake isn't as bothersome as others. Yes, he's 31. Yes, he's pitched with four other teams this season. But there is actually a lot to like about him. He's been a monster in Triple-A (1.80 ERA, 12.7 K/9 in 110 IP). He has also averaged 9.9 K/9 in the majors, where his 3.47 FIP clashes with a 4.82 ERA. And since joining the Twins, the waiver pickup has looked great, striking out six while allowing one hit and three walks over 5 1/3 innings. He's got a funky delivery and some eye-catching breaking balls. If he throws it over the plate, Drake can be a real factor. I'm actually quite interested in watching him over these finals weeks, and would love to see a few higher-leverage chances. To me Drake is exactly the kind of player a team like the Twins should be auditioning in their current position. Inadequate control can be the bane of so many otherwise capable pitchers. Perhaps that'll prove to be the case with Curtiss, whose dazzling strikeout rates through the minors have raised eyebrows. As he's moved up and hitters have become more selective, the 25-year-old's strike-throwing issues have been magnified. He's averaged 4.4 BB/9 in 71 innings at Triple-A, and has barely gotten a chance in the majors. His extremely brief stint with the Twins this year was nightmarish, and included two run-scoring wild pitches in a single inning. With an option left for 2019, he will stay on hand as depth, but Curtiss needs to make serious strides with his command to have any chance of breaking into Minnesota's bullpen for good. It was frustrating to see Bard swooped away in December's Rule 5 draft, when the Twins left room on their roster to select Tyler Kinley (remember him?). But the Angels didn't stick with Bard and his elite spin rate for long, returning him to the Twins in late April. Since rejoining the organization, the former first-round pick has remained in Triple-A, where his season's been a mixed bag. The strikeouts have been there for Bard (43 K in 38.2 IP) but he's been oddly hittable, allowing a 4.89 ERA and .807 opponents' OPS. He turns 28 this offseason so his prospect luster is diminishing, but Bard isn't without hope. Beyond the above list, there are several others who could be right-handed bullpen factors in 2019, including Nick Anderson, Jake Reed and (if they'll just give him a dang chance in relief) Kohl Stewart. But right now the nine players listed above look like the main contenders. Are you comfortable with this depth amidst some clear uncertainty at the highest ranks? Hildenberger's first 3 months steady? I can't forget the massive amount of inherited runners scored that seems to be left out of his review. Perhaps that was an indication of what was to come? Since we can’t really on depend on Reed and Hildy to be anything more than a 6th or 7th inning guy, I honestly hope we just sign Adam Ottavino and David Phelps to carry the bullpen next year. The FO reluctance to use our minors is my biggest criticism of them and it is a big criticism. I believe we need to sign 1 or 2 top flight or upper tier relievers this offseason.this is far from a shut down bullpen.The rest of this year should be focused on which of the AAAA relievers should be here or given a chance to be here next spring. Why Beliese is still on the roster is a mystery to most of us posters here.Rest of the club will be OK, but shoring up thebullpen should be priority one for the FO. Ought we add Ryne Harper to the discussion? After being promoted from AA, he's also done well in a few August appearances for Rochester. At 29 he's not a world beater, but could be a contributor on a par with some of the other names. You don't get why Duffey got skipped?How'bt his 5.52 era. and that's after a couple good games.He couldn't get through an inning early in the year and he didn't do much better at AAA.I like Duffey and would like to see him do well, but I think Duffey has been used properly this year and I'm a little surprised he got called up.I'd like to see Anderson and Eades get some innings. [Duffey]'s been shutting down Triple-A hitters all year. His AAA season stats look good in aggregate, but he was lights-out in 4 long stints in April, decent in May, and June-August his AAA numbers aren't too hot. He's been pretty hittable by this caliber of opponent for a significant stretch now. I'm not a believer - can't rely on him from game to game - down to a one-pitch pitcher and when the curve's not behaving, look out. He needs to come with a caution label, "Use at your own risk". I'm pleasantly surprised at his performance in 3 games since being called back up. Good for him. I hope he continues it and proves me wrong. Perhaps top-notch pitch calling is the answer, and can paper over his deficiencies and thus maximize his remaining asset. What is the contract situation on a guy like Drake? How.many years of team control do we have? His AAA season stats look good in aggregate, but he was lights-out in 4 long stints in April, decent in May, and June-August his AAA numbers aren't too hot. He's been pretty hittable by this caliber of player for a significant stretch now. I'm not a believer - can't rely on him from game to game - down to a one-pitch pitcher and when the curve's not behaving, look out. I seem to recall that Duffey finally developed a change-up in AAA this year and that has greatly helped him of late. Who knows if it will help in the future. De Jong, the guy they recently traded for? I'd move him to RP. Same with maybe Alcala. Maybe.....on Alcala. Odorizzi seems like a guy that would gain 2 MPH, and has the kind of stuff that plays well in relief. That frees up space for others. Bard's K% at AAA is 25.4% this year, down considerably from his 2017 mark of 34.7%. I think he's pretty much without hope of anything more than a AAAA type career at this point, if even that. He's eligible for minor league free agency this winter too, if not added to the 40-man. Drake is over 2 years service time now, so we could potentially control him for 4 years after 2018. He won't be arbitration eligible until after 2019. Although he has no minor league options remaining, so he's stuck on the 25-man roster. And even if we waive him and he clears, he can elect free agency rather than accept an assignment to Rochester. Oh, and he turns 32 this winter. I'd shut down Reed, there's just no way he's right. Duffy has earned another run, as a reliever. Let's see if Hildenberger can work through it. Maybe he can adjust to the adjustments. Have we given up on May as a starter? If so, he should be a nice piece for next season. health is his problem, not ability. I do ascribe to the idea that relievers are fungible and the least consistent guys out there. there's very few that are worth paying big money on multi-year deals. So let's see what we can get out of the young guys. Moya & Rogers look good from the left side. Reed was fine until he got hurt, and should be the good vet for next year. May looks like he's healthy (so far) and give you a quality righty as well. Hildenberger and Duffy might be the other 2 pieces. That's not a bad 'pen for next year, just not one that's got a lot of big names. the question is going to be depth when guys inevitably get nicked up or struggle for a stretch. but I see no need to keep a belisle around or muck about with a washed up vet. Like Bard, Harper will also be eligible for minor league free agency this offseason (again) if not added to the 40-man roster. They seem like pretty fungible AAA depth. I'm not especially a Harper woofer. Just pointing out an omission. If I have a point, it's probably that he's another baseline against which potential acquisitions could be compared. If not better than Harper, then why bother. Neither Odorizzi or Pineda will be in the pen next season. Falvey said on Sunday, May asked him to go back to the pen. I'd be shocked if May ever starts for our favorite team again. The bullpen looks fine going into next year. We may need to sign a decent arm and maybe a minor league contract for added competition. But I feel good about our rotation and pen moving forward. So your rotation is set? Gibson, Odo, Pineda, Berrios, Mejia? No additions from teh outside, no promotions? Good luck. And, I think you want ESan also......how does that work? Hildenberger's swinging strike rate has remained static, his walks have stayed in check, and his velocity hasn't dropped to an alarming degree (though it has dipped from where it was in the middle of the summer). It should be noted that most pitcher's velocities tend to have a bell curve throughout the season. Unless there is a drastic decline, there will usually be some decline in the back half of the season. Kinley pitched all of 3 innings and may have had the best stuff in the pen except forPressly. Last season's Rule 5 guy, Haley, is currently with the Red Sox. I recall one member said his 16 innings were the reason we crawled into the play-offs last season. It's foolish not to look at an outside arm for $100,000 a shot. Good topic for discusion, Nick.And I agree it could be the key to whether or not the Twins compete next year. Am so happy getting May back and looking good.Got to believe he can be one of three top rated late inning guys a successful team needs.Could Duffey be another? One thing I didn't understand is why you would even mention Lewis Thorpe in this article?He is and will remain a starter, hopefully for a long time with the Twins. Kinley pitched all of 3 innings and may have had the best stuff in the pen except forPressly. So which is it -- were they smart for picking him up, or foolish for letting him go? Last season's Rule 5 guy, Haley, is currently with the Red Sox. I recall one member said his 16 innings were the reason we crawled into the play-offs last season. I guess the Pawtucket Red Sox can technically be called "the Red Sox." Seriously, Haley did make a mop-up cameo for Boston earlier but is not currently on their 25-man roster. I must have missed the poster crediting our postseason berth to Haley. Usually you like to mock opinions on this forum -- is that really the one you want to embrace? Mejia could also be a nice piece to the pen, whether we keep 2 or maybe 3 lefties. I say this because hes out of options, and if someone passes him for a rotation spot, (Gonsalves? ), no way we pass him through waivers. Agreed something doesn't seem right with Reed at all. Just.not the same pitcher hes been before. Really want Belisle gone, with all do respect, for someone to audition for next year. Hesitant to make a big move and get burned but we have to look outside the organization, trade or FA, for another potential impact arm to go along with those listed above. THEN I will start to feel better about the potential of the 2019 pen. Report From The Fort: Closing Time?